"He's dressed up as a witch. Witches are girls." "This is the 90s, Dan, witches are women." For an entire generation raised on 80s/90s sitcoms, one destination is synonymous with Halloween: Lanford Illinois, home of the Conner family from Roseanne, the groundbreaking sitcom that offered a stark, honest portrayal of blue-collar America. More than that, it also provided a yearly glimpse into a very specific form of middle class Halloween Americana, something that was particularly crucial for yours truly. For someone raised far from the suburbs and without any chance of experiencing a “traditional” Halloween, Roseanne’s annual episodes allowed me to live vicariously through a world full of deranged pranks, elaborate (and gross!) costumes, trick or treating, parties, and haunted houses. Maybe this was an idealized, sitcom version of Halloween, but it was—and still is—real to me, damn it. I had to believe that other folks out there treated Halloween like an honest-to-god event and went all out for it, if only because that was never my own experience. And while everyone always instinctively (and rightfully) praises “Boo!”, the shows’ first Halloween outing, I’m here to throw a little love to its first sequel, “Trick or Treat,” a third-season episode that aired just as the show was really hitting its stride. Yes, “Boo!” features the legendary “Tunnel of Terror” and an abundance of incredible pranks and gags, but “Trick or Treat” ups the ante with more elaborate sights and sounds while also threading in the show’s trademark progressivism. Unlike the previous year, which saw the Conners transform their home into a makeshift gross-out attraction, the family is visiting an annual party at The Lodge, now doubling as an incredible haunted house itself for Halloween night. All is not well, however, as D.J. (Michael Fishman) wants to be a witch, complete with a hat, crooked nose and broomstick. Not a warlock, not a wizard—but an actual witch, much to Dan’s (John Goodman) dismay. Balking at the choice of costume, Dan insists D.J. will be bullied by the other kids for wearing a “girl’s” costume and forces him to leave his accessories behind in the hopes he can pass the costume off as something more manly. Meanwhile, car trouble keeps Roseanne (Roseanne Barr) from the festivities all together, as she and Jackie (Laurie Metcalf) are stranded at the Lobo, the scuzzy town bar crawling with hyper-masculine miscreants. Wearing a male trucker costume provides Roseanne with the perfect excuse to yuk it up with these unwitting meatheads, allowing her to skewer them in the process. Not only did “Trick or Treat” help make the show’s Halloween episodes a yearly tradition, it did so with an approach any good “sequel” should boast: escalation. You loved the family’s killer costumes from the year before? 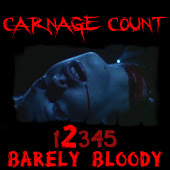 Check out the gruesome stuff on display here: Becky (Lecy Goranson) is a half-zombie prom queen, while Darlene (Sara Gilbert) sports a demonic puppet that bursts right out of her stomach thanks to some low-key special effects wizardry on her part. 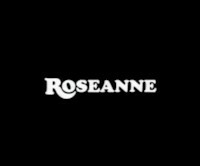 You enjoyed watching the family prank each other in an effort to claim the mantle of “The Master?” Watch as Roseanne pulls one over on an entire bar, leading to a hilarious reunion when Dan rescues her just in the nick of time once the ruse is up. And, most importantly, you dug the Conners’ quaint, rickety Tunnel of Terror? Here’s the entire goddamn lodge tricked out to capture that perfect, cozy Halloween spirit. What’s really cool here is the Lodge. Easily one of the show’s most indelible Halloween images, the Lodge becomes kind of the platonic ideal of small town haunted attractions. Take it from me, a veteran of such dinky little haunts: this is the real deal, right down to Dan’s buddies getting a little too into the act and overdoing it. This actually was my childhood Halloween, at least to a certain extent: in lieu of actual trick or treating (due to a lack of suburbs or even many houses nearby), we’d sometimes visit similar gatherings by fire departments or local-ish daycare centers. Maybe this is why this episode has always resonated so much with me: for the most part, the Tunnel of Terror episode—which was bursting at the seams with trick or treaters and homespun Halloween revelry—was a foreign concept to me. “Trick or Treat,” however, is a tad more reminiscent of my own experience. Of course, what’s also comforting is Roseanne’s ahead-of-its time progressivism, something else that would have been totally alien to someone raised in the south. As cool as the Lodge, costumes, and pranks are, the absolute best thing about this (and many other) episodes is the way it embraces the era’s growing liberalism: Dan realizes he’s being a jerk about DJ’s costume and later has no qualms about playing along with Roseanne’s gag at the Lobo, thus cementing his place as arguably the best TV dad. I loved that man as if he were one of my actual family members, which is why I can’t wait to see what he’s been up to (and how he apparently cheated death) when the show returns next year. I also can’t wait to see how the Conners are still celebrating Halloween: surely they wouldn’t bother to put on a revival without giving us one more glimpse of their festivities, right?